Social media is a good platform to communicate with your fans & followers. There are different type of social media channels available- Facebook, Twitter, Linked in, Google+, Pinterest etc. But Facebook is one the fastest growing social media network and its users are increasing day by day (1.44 billion monthly active users). According to statistics, 70% of marketers used facebook to gain new customers. 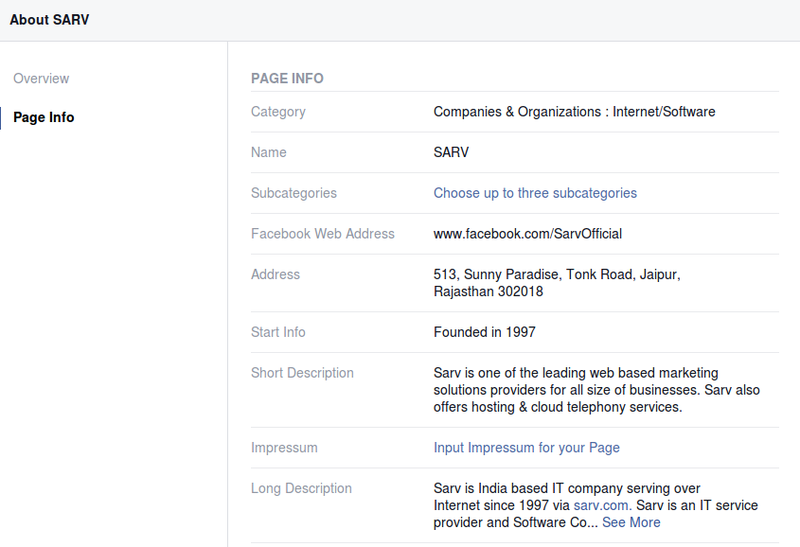 It is necessary for a company to create a Facebook page, publish their profile and updates news about products & services. But it is not easy task to get new likes & huge fan base to your facebook page. 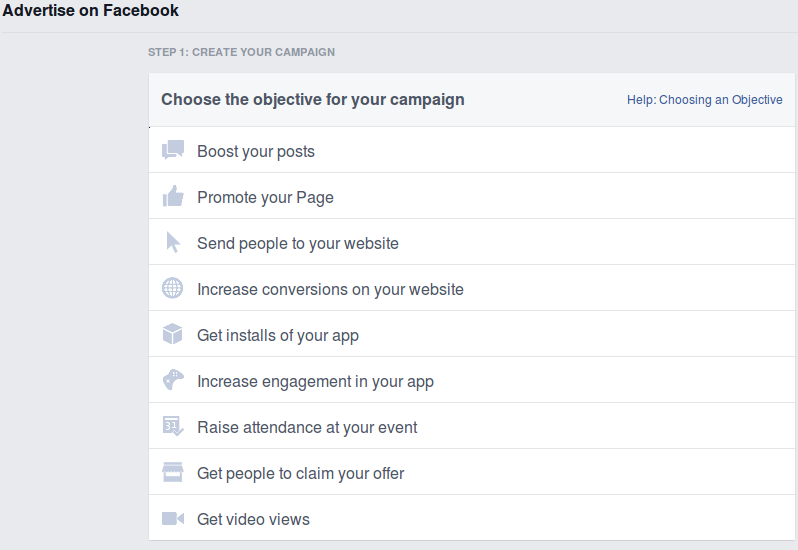 In this article I’ve covered some tips and tricks to give your Facebook page a boost. Give this article a view! Working hours & payment modes. 2. Fill out about section with basic information of business, because it is the first place people look if they’re scanning your page. 3. Allow people to know what your page is about before they like your page. 4. Don’t create dummy personal account for facebook business page, because it’s against facebook’s terms of services. 1. 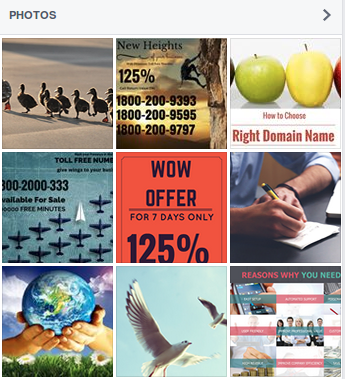 Profile picture is one of the most important key part of your business facebook page. 2. Pick the right profile picture which can easily recognize by fans & followers, it could be your business logo. 3. Dimension of page’s profile picture is 160*160 pixels. 4. Dimension of profile picture square box is 180*180 pixels. Picture will be cropped to fit in this box. 1. Cover photo is key element for making a good first impression. 2. You need to pick a cover image which attract the attention of your potential fans. 3. Choose best suitable image according to specifics of your business. 4. Eye catchy & attractive cover photo may make people stay longer on our page & like your page. 5. Dimension of page’s cover photo is 851px wide by 315px tall. To get more information about size’s profile photo & cover photo- Click Here. 1. Before starting to post anything on your page, you must think about posting strategy. 2. This strategy will play a crucial role in your page success. 3. Find answers of questions like- when are you going to post? And how often will you be posting? 1. According to social media experts, don’t post too much on a single day. The optimal posts on a single day is between 2-4. 2. Being consistent, create different types of quality posts which can help people & your fans or followers. 3. Know about your targeted audience & post content that grab their attention. 4. Find out what time most of your audience is online and schedule posts according to that time. 5. People like your page, because they want to know what’s happening to your business. So, give your audience the needed information consistently. 1. Facebook is not about the number of likes! Facebook is all about conversation. 2. The number of users that are engaging with your page is the metric that matters. 3. Ask followers & fans questions. 4. Be honest with your audience. 5. Post quality content that can get not only likes but shares too. 6. Chat with your fans & followers in the comments of posts. Answer as much questions as you can. 7. It is a good way to increase the engagement of your fans. 1. The overall social media users like images! According to studies, posts with visuals are most liked & shared than the average posts. 2. Use high quality & attractive images, so people can easily interact with them. 3. Try different visuals like images, infogrphics, videos etc. 4. Try to keep the right combination of images and text (short & instructive). 1. Make your fans’ or followers’ time on social media more interesting by posting diverse content. 2. Try to post different types of content like articles, videos, polls, images, events etc. 3. Stay diverse and try to surprise your fans & audience each time you post on facebook page. 1. People don’t like long & boring posts. So, make your posts concise, clear and accurate. 2. People like interesting posts. Show your fans something cool. 3. Write grammatically correct posts. 4. Specific & interesting posts will increase the overall engagement of your users. 1. Each facebook post has a certain duration. Once this duration expires, post is no more visible to the users. 2. Promoting your posts is a great way to reach larger number of people. 3. Promote your page to grow & get more followers. 1. 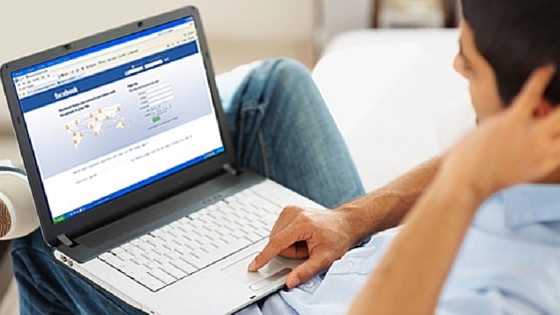 Facebook ads can improve your facebook presence. 2. Target right audience & experiment with different ads. 3. Analyze your results to increase ads’ efficiency. 4. Promote only product or services you think your audience is most interested in. 1. You can track your success with the help of useful tool- Facebook insights. 2. Study the metrics of your page & make decisions based on that. 3. Learn which time is best for posting on Facebook, what type of content your fans engage with etc. 4. You’ll be able to see the demographics of your audience, including their genders, age and locations. I hope now you get that Facebook is all about the personal experience, so connect like a friend not a business. Offering valuable content & updates to followers is a key factor to grab fans attention. Always keep in mind- Facebook is less about marketing and sales and more about conversations and relationships. 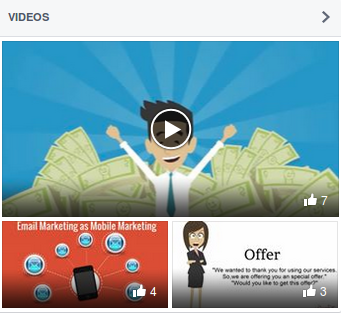 Hope you are now understand how to make a compelling Facebook business page for yourself. If you have any suggestions or queries please share with us, we’d like to hear!